Ordering modern outdoor furniture online is easy, right? You choose your product, place it in the cart and check out. A couple of days later you receive a call and a friendly young man delivers the furniture right into your home. But not so fast! Not that it is the norm, but once in a while things do go wrong. And it is helpful to know how to protect yourself, just in case. Let’s assume for a moment, you have ordered some fancy modern outdoor furniture, taking advantage of the low prices the web has to offer, e.g. at Beliani Furniture Outlet. 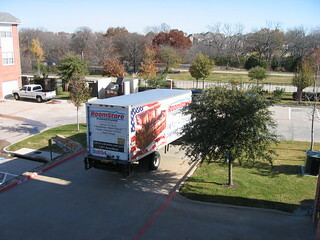 A week or so later the delivery truck shows up and off-loads a few cardboard boxes. You notice that one of them is torn on the side and it has a bit of a dent. What now? Since you have been shopping with a reputable company, you will have received an email a couple of days back, instructing you exactly what to do in such a situation. You may even still have it handy on your smartphone or tablet. You proceed as instructed and will live happily with your furniture ever after. What if you did not receive any information from your retailer? Sure, you could call them right away and ask, but in the heat, things tend to go wrong. Whatever you do now, if you sign the paper that the smiling driver hands you, without clearly noting a damage, you might be out of luck. Mind you, since you noted the tear on the box, you will probably go ahead and take a closer look, making sure the contents are in good shape. Well done! If there is a problem with your new outdoor furniture, you have 2 options: 1. Refuse the freight and send it back, 2. Accept the goods, noting the word “Damaged” on the so called Proof of Delivery (POD). Then snap photos showing the issue and send them to your retailer. Chances are, not all pieces are broken and only the damaged parts need replacement. 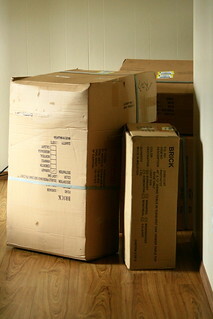 The tricky part is, when the truck arrives and all the boxes look fine. The driver hands you the POD and ask for you to sign. He is a bit behind schedule and needs to hurry to the next job. Who is bold enough to go ahead and write “Damaged” on the POD without even opening the packaging? But that’s exactly what you have to do. Only then will you be able to successfully claim, in case you discover a broken item upon unpacking your furniture. Otherwise, the shipping company will assume that you have received the freight in fine condition and that the damage happened after delivery was completed. Most shippers are very black-and-white on this topic, so be prepared. Hesitant to order furniture on the web after reading this? Don’t be. The advantages of shopping from the convenience of your home with an online retailer by far exceed the risks. Great service and fantastic prices are common practice. Happy shopping! Previous PostThe Coolest Modern Coffee Table Designs for 2014Next PostHow Can I Buy Good Furniture Online?